What do we want Superhero Films to be? With the unparalleled success of The Avengers at the box office, superheroes are back in the spotlight. Most comic book aficionados are delighted with the recognition. But believe it or not, there are those such as myself who are dismayed at how superhero films, though more popular than ever, seem to be losing their luster. When I was in grade school, nothing seemed more interesting than comic books, with their amazing feats, super powers, hyper masculine (sexist) images and monumental battles. Their visual flair and storytelling style proved more vivid and effective than any textbook. But they also engrossed me in their attempts to personify concepts both political and abstract. I learned about discrimination from the X-Men, about eternity and death from the Secret Wars, about the trauma of war from Sgt. Rock. If anything, comic book heroes complemented my school education more than I could have imagined. 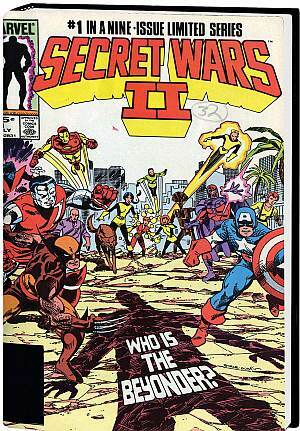 When I had finished the Secret Wars II series, there was nothing I wanted more than to see it as a film. I first imagined it in animation with Jim Lee (my favorite illustrator at the time) illustrating it to the minutest detail. Later I would envision it in live action, with Arnold Schwarzenegger playing Colossus, Jack Nicholson playing Wolverine, and Jean-Claude Van Damme playing Gambit. The last decade or so was a phenomenal time for the superhero movie genre, both thematically and financially. It wasn’t uncommon to have four such films a year, grossing over a billion dollars annually. This period saw some of the most profitable film franchises of all time, as well as a few of the most ambitious and creative takes on our most memorable costumed crime fighters. But as the decade came to a close, the genre started to have less lofty goals. Since 2008, when the great pairing of Iron Man and The Dark Knight bookended that year’s Summer Blockbuster season, there hasn’t been a single worthy successor mentioned in the same breath. Some might argue that Watchmen fits that bill, but depending on who you speak to, no superhero movie has captured the same kind of critical and commercial acceptance comic book fans have been searching for (that includes The Avengers, which I’ll get to in a minute). This sentiment was encapsulated by A.O. Scott in his essay “How Many Superheroes Does It Take to Tire a Genre?” In it, Scott surmised that 2008 may have been the peak of the genre’s powers, noting the rules by which its films have to live by. It’s these predictable conventions in Scott’s claims that ultimately restrict the genre. The over-reliance on elaborate special effects. The insistence on spelling things out. The problem I see is not so much in the genre’s conventions, as they harken back to youthful and more innocent notions in all of us. My issue lies, especially with most superhero films of the last few years, in the lack of resonance and ambition. This ultimately leads to a question we fans have to ask ourselves: what do we want superhero films to be? Such films entered the collective consciousness, as Saturday Movie Serials in the 1940s. Some of their earliest protagonists were Captain Marvel, Batman, The Phantom, Captain America, and Superman. Find these films on YouTube and you’ll discover how the heroes look anything but super in retrospect. Yet in their time, these movies provided an escape for millions of children during World War 2. They served their purpose well. Politics, in the form of the Comics Code Authority, momentarily torpedoed the comic book industry, and with it went the serials that were inspired by them. Superheroes were only to be found on TV, most notably in Adam West’s Batman, which remained securely in the corners of camp comedy and children’s entertainment. But by the 70s, the children watching these shows had all grown up, and so did special effects. Richard Donner surely must have seen what Steven Spielberg and George Lucas did with summer blockbusters in Jaws and Star Wars. Thus arrived the Godfather of all superhero films, Superman. 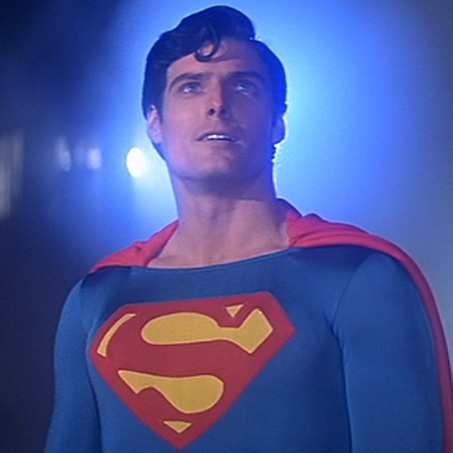 What made Superman so great, aside from casting Christopher Reeve and utilizing John Williams’s immortal score, was that it evoked the almost mythological reverie young fans hold for their heroes. The first shot of a young hand turning a comic book page, while a child’s voice narrates the exploits of the Daily Planet, is passionate and perfect. The film’s ambitions were so grand that they couldn’t be contained, eventually spilling over to its equally majestic sequel (Richard Donner’s version). It was also a product of great creativity, utilizing shots and techniques that maximized the capabilities of special effects despite the limitations of their time. So much so that no other contemporary of its genre in the following decade came close to it. That is until Tim Burton revolutionized the feel of the superhero film with his gothic vision of Batman (1989). 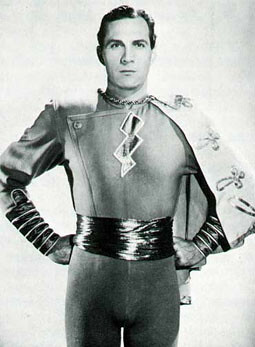 Until then, superheroes had to live up to Kal-El’s sunlit glory. But Burton upended this notion with his dedication to darkness and shadow, reveling in the caped crusader’s menacing intimidation. Both of these heroes set the bar well into the 80s and 90s, becoming the genre’s Yin and Yang, determining the stylistic paths their heirs would take. Superman’s children would be Condorman, Supergirl, Captain America (1990) and The Phantom. Batman’s would be The Punisher, Darkman, The Crow, The Shadow, Spawn, and Blade. Just as World War 2 ushered in the age of the comic book superhero, 9/11 ushered in the genre’s cinematic golden age. From then on, it wasn’t enough to herald a great champion or premise. The conflicts had to involve soul-searching. The stakes had to be grave. 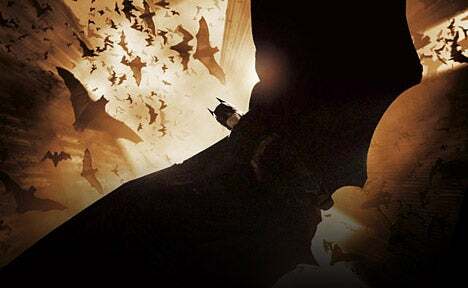 Christopher Nolan’s Batman Begins (2005) revealed the true nature of Batman’s dark notion of justice, digging deep behind Bruce Wayne’s trauma and patiently building the legend. Miraculously, The Dark Knight (2008) raised the stakes by presenting an equally determined anarchist who embodied our all-too grounded anxiety of complete chaos. Ang Lee’s introspective Hulk (2003) contemplated immeasurable power as more of a curse than a blessing. It is also the most daring and artistic interpretation of any superhero adaptation, choosing very human conflicts (Bruce and Betty with their unreliable fathers) at the heart of the story, as well as depicting the green goliath not simply as a monstrous beast, but as a child. Brad Bird’s The Incredibles (2004) never felt as grave as others from this era, yet it presented itself as a lighthearted ode to the fading ideal of the nuclear family. It was also the best “Superhero Team” movie ever made, with the ultimate team: mommy, daddy, brother and sister. The real fantastic four. 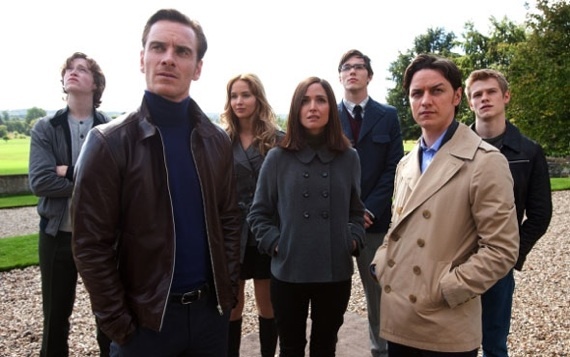 The X-Men films have always focused on discrimination, with their demigod cast-outs; Brett Ratner’s The Last Stand (2006) and Matthew Vaughn’s First Class (2011) also juxtapose the political and historical (respectively) more intimately than any other in the genre. Many saw Jon Favreau’s Iron Man (2008) as a showcase of Robert Downey Jr.’s immense gifts, but it was also (unintentionally or not) a surprising and satisfying ode to America’s wish to finally use its unmatched corporate, technological and military might to do actual good. Guillermo Del Toro’s Hellboy (2004) was amazing in its portrayal of a demon’s touching desire to do well by man. Of all the superheroes in film, this horned red-hided monstrosity is the most fun, relatable and humane. He wisecracks without malice, and has a soft spot for kittens. Hellboy II: The Golden Army (2008) continued this sentiment, and added to it by ruminating on man’s distancing from myth, in a manner reminiscent of Hayao Miyazaki’s films. Of all superhero films, Spider-Man 2 (2004) is the genre’s conscience. Though Peter Parker wasn’t ordinary, his not so extraordinary abilities made him a more empathetic character compared to someone who can fly. Sam Raimi used a hero who wasn’t super-intelligent, wealthy or powerful to somehow convey the awesome responsibility and sacrifice of doing the right thing. As with any celebrated era, there is always an inevitable decline. Just as in the 90s, throwaways are coming back. Let’s face it, would anyone consider the personal dilemmas of The Green Hornet (spoiled brat), Thor (big dumb alcoholic blonde) and Green Lantern (a pilot afraid of admitting fear) worthy of heroism? Captain America (2011) might have brought back fuzzy nostalgia for the good ole’ days, but did it have to be fuzzy in hindsight, overlooking something like racism? Not only were these examples devoid of aspiration, they were also utterly predictable. The same can be said about The Avengers, whose main claim to satisfaction is catering to known comic book lore. There is nothing interesting about Cap’s boring nobility, Thor’s one-dimensionality, or Loki’s whining theatricality. The film wants to meet our expectations, but not surpass them. It hits its targets, but aims low. Yes, superheroes by their very nature are fantasies, originally conceived to make us feel good and have us suspend logic for the short time we have with them. But even we fanboys want our genre to be taken seriously too, don’t we? At what point do we stop sacrificing the aesthetics of interpretation, storytelling and characterization, at the altar of our often inflexible passion for youthful folklore? If fairy tales can be re-imagined, why not comic book characters? And for those of us seeking that Superman or Batman moment, of seeing an awesome sight for the first time, those moments are going the way of the dodo. CGI has made the incredible familiar. The time has come for the genre to tantalize us not just with outlandish imagery, but new ideas. Fertile ground is there for the taking. Look where James Bond went in Casino Royale (2006) exploring how he came to be and the roots behind his sexism. Take a look at Chronicle, which explored how teenagers deal with superhuman abilities with all their angst and insecurity. Recent Westerns grew out of their predictability, as they were able, “to find ambiguities and tensions buried in their own rigid paradigms,” as A.O. Scott noted. Superhero films have grown and must continue to grow rather than simply being about simple themes or fanciful images. It wouldn’t hurt if they actually had something to say. In Superman Returns (2006), Kal-El flies into the highest reaches of the stratosphere, listening in on how to help mankind. It’s an inspiring scene followed by madness. Does he help resolve Middle Eastern conflicts? Help stop ethnic cleansing in Sudan? Rid North Korea of nukes? No. He stops a bank robbery. Do we want the familiar? Or the new?